I strongly endorse All Creation Is Connected: Voices in Response to Pope Francis’s Encyclical on Ecology. The essays are an excellent companion to deepen understanding of the critical theological, social, and ecological insights and claims woven throughout Laudato si’. The early chapters show both the continuity and new ground that Laudato si’ makes with earlier Catholic social teaching. The later essays, on Pope Francis’s critical contribution of the themes “Integral Ecology” and “Ecological Conversion,” are especially compelling. The connections several authors make to Leonardo Boff’s liberation theology and Teilhard de Chardin’s and Thomas Berry’s cosmological theologies ground Laudato si’ in important contemporary theological conversations. Especially important for theologians is Richard Miller’s stellar chapter, “The Cry of the Earth: The Scientific Background” . . . a clear and thorough discussion of the implications of breaching “planetary boundaries” through escalating climate change brought about by human activities—the central problem addressed in Laudato si’. This book will generate and ground critical conversations and active responses to Pope Francis’s call for a global ecological conversion. Like the encyclical itself, these essays aim through and beyond the Roman Catholic public to all of us earthlings. They amplify and carry forward Laudato si’s mission—which, if a viable future for our species matters, is of paramount importance. In the light of the crisis we face in the planetary community of life, Laudato si’ may well be the most important Catholic teaching document of the twenty-first century. It brings commitment to Earth, to its lands, seas, and rivers, to all of its creatures, to the center of Christian faith and practice, and teaches us to hold this together with a commitment to social justice in “integral ecology.” The authors of the twelve chapters of All Creation Is Connected engage in important conversations with Laudato si’ from a wide range of contexts and disciplines. They bring fresh insights into a reading of the text by means of the kind of dialogue about our common home to which Pope Francis calls us all. This is an important book that not only provides important insights, but like Laudato si’ itself, can inspire the reader to a deeper ecological conversion. The authors of the dozen essays in this excellent book make up a “dream team” of engaged scholars and activists dedicated to honing an unflinching religious response to the environmental crisis. Each deserves a membership card in that rare club of energetic teachers possessing a true knack for offering highly accessible messages on important topics. Every chapter of this book sheds abundant light on the crucial appeal of Pope Francis in Laudato si’ for deeper environmental concern and care for our common home. Providing an eloquent witness to the power of ecological conversion, this volume will enhance your knowledge and spark your energy to make ecology the priority it must be today. All Creation Is Connected contains many finely crafted and engaging articles reflecting on the environmental crisis in light of Laudato si’. Drawing upon an impressive community of American-based scholars, All Creation Is Connected treats the roots of the crisis and the response required clearly and with a keen sense of urgency and passion. [A]n invaluable resource for anyone interested in the future of our ‘common home,’ and especially for those inspired and shaped by the Gospel. All Creation Is Connected opens Laudato si’ to a wider theological, scientific, and historical context. It shows how the encyclical can be integrated within varied strains of Catholic ethics such as the virtue approach or liberationist ethics. Together with the excellent bibliography and suggested study materials it can serve as an excellent supplementary educational tool for the encyclical. Few encyclicals have been awaited as eagerly as Laudato si’. Pope Francis’s letter is long and complex, as well as fascinating and significant. For that reason, readers will benefit greatly from these essays. Thirteen recognized and respected scholars explore not only the encyclical itself, but situate the document within contexts of liturgy, Catholic social teaching, liberation theology, science, ethics, sociology, peacebuilding, and mysticism. Taken together the essays in this volume provide a wealth of data and information that help us appreciate Laudato si’—its wisdom, its challenge, and its importance for the life of the planet. This is an excellent volume of carefully selected essays that illuminates the breadth and depth of Pope Francis’ encyclical, Laudato si’. Dan DiLeo has skillfully woven together a comprehensive portrait of the encyclical that provides substantive insight on its theological, cosmological, and ethical vision for a renewed human community and planetary ethics. The reflective questions and suggested readings at the end of each chapter make this book a very helpful tool for educational forums and discussion groups. I highly recommend it. It’s a question people are asking and answering with greater frequency—and urgency—than ever before. And although many Americans remain ambivalent about our responsibility toward the earth, Pope Francis is clear: we must care about the environment, because all creation is connected. He says this most clearly and powerfully in his 2015 encyclical Laudato si’: On Care for Our Common Home. Shortly after the pope released his encyclical, the Catholic Climate Covenant, the U.S. Conference of Catholic Bishops, and the Institute for Policy Research & Catholic Studies at The Catholic University of America held a conference to unpack and explore Laudato si’. 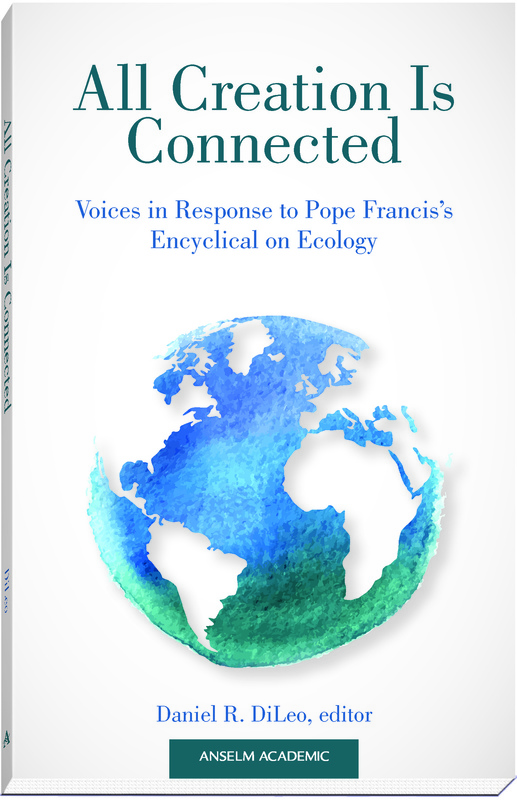 All Creation Is Connected: Voices in Response to Pope Francis’s Encyclical on Ecology is a collection of essays born of that conference. Supplemented with review and discussion questions, and suggestions for further study, All Creation Is Connected explores an array of topics—from the background and reception of the encyclical to the key concepts that frame and animate it. Why care about the environment? All Creation Is Connected explores that critical question and the pope’s timely response. This collection will catalyze conversation and spur necessary action for years to come. 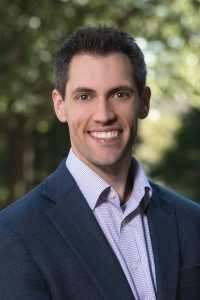 Daniel R. DiLeo is an Assistant Professor and the Director of the Justice and Peace Studies Program at Creighton University in Omaha.